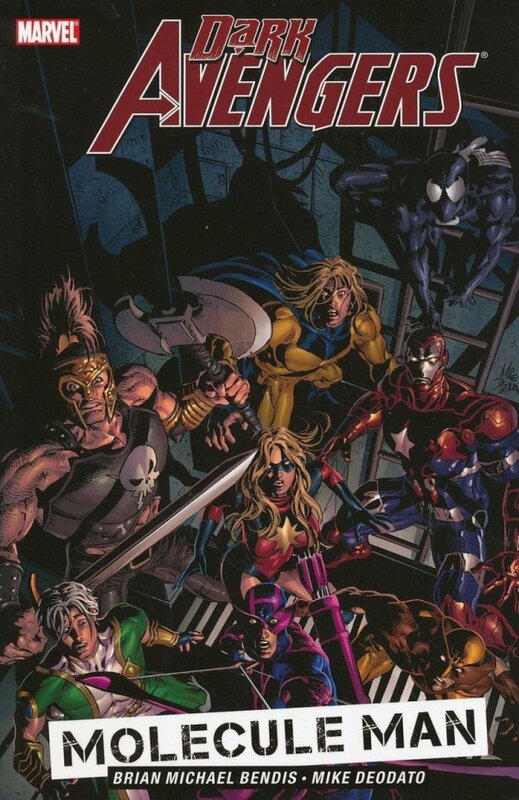 Dark avengers?disappear! The wild-eyed Owen Reese is a seclusive personality with galaxy-shattering power at his command, a meek little man who just wants to be left alone in the lonely landscapes of Dinosaur, Colorado. 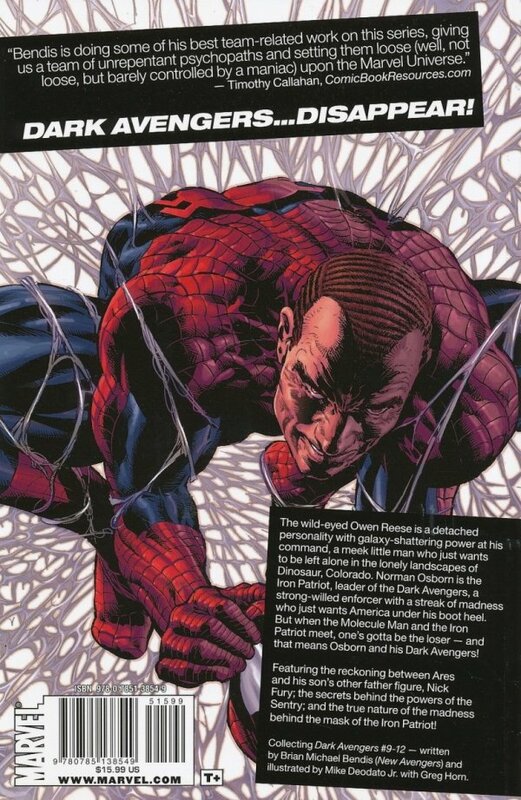 Norman Osborn is the Iron Patriot, leader of the Dark Avengers, a strong-willed enforcer with a streak of madness who just wants America under his boot heel. But when the Molecule Man and the Iron Patriot meet, one's gotta be the loser - and that means Osborn and his Dark Avengers! Featuring the reckoning between Ares and his son's other father figure, Nick Fury, the secrets behind the powers of the Sentry and the true nature of the madness behind the mask of the Iron Patriot!